Away from the hustle and bustle of the casino on the mezzanine is South Point's Primarily Prime Rib. Catering to hearty appetites, the menu features four flavorful prime rib cuts, dry aged to ensure tenderness, seasoned and slowly roasted. Other dishes aim to please all palates. Sip on a signature cocktail, sit back and relax as your favorite prime rib cut is prepared to your liking by our culinary staff. 10oz Freshly Ground Seasoned Corn Fed Nebraska Beef. Flame Broiled On a Butter Toasted Brioche Roll with Aged Cheddar Or Gruyere Cheese, Thick Sliced Apple Wood Bacon. Accompanied with Horseradish Ketchup And Cabernet Reduction. Served with Crisp Fries. *Southern Nevada Health District regulations governing the sanitation of food establishments – 96.03.0800.2: "Thoroughly cooking foods of animal origin, such as eggs, fish, poultry or shellfish, reduces the risk of foodborne illness. Individuals with certain health conditions, may be at higher risk if these foods are consumed raw or undercooked"
The restaurant was lovely, food was excellent and the service was great. I would highly recommend this restaurant to everyone. We celebrated a birthday there and the ambiance was very nice. 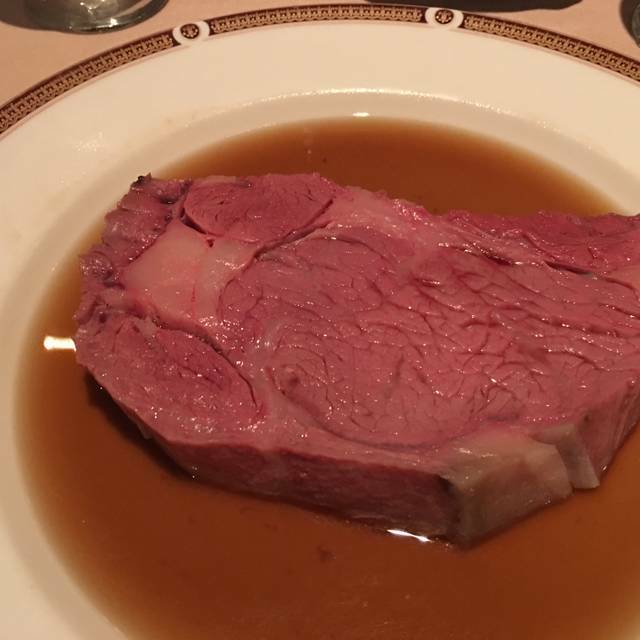 If you like prime rib they have the best I've ever had in Vegas. There are other items on the menu also if you prefer. The prices are also reasonable for the quality of food and service that you get. 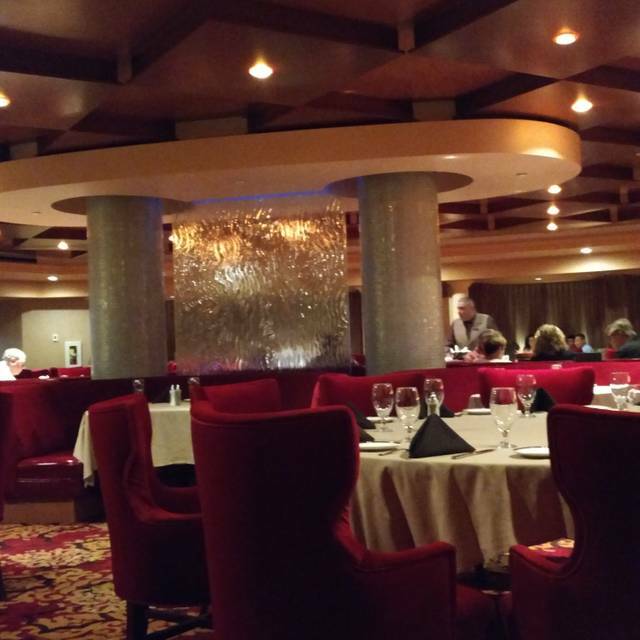 The best prime ribs and medallion steak in local casinos. I’ll take all my friends from ny and here in Vegas to eat there. Solid choice for reasonably priced prime rib. A bit of a drive from the Strip. Wonderful food, service was less than stellar!! A fantastic evening, an experience which I would highly recommend. We had the South Pointe cut and salads with baked potato. Lovely meal but know that the smallest cut (which we had) is still 10 oz of beef. Also, we asked for medium rare and medium and we would have called the two cuts rare and medium rare. But the food was beyond delicious and filling. Our service was fabulous and it is a lovely environment. 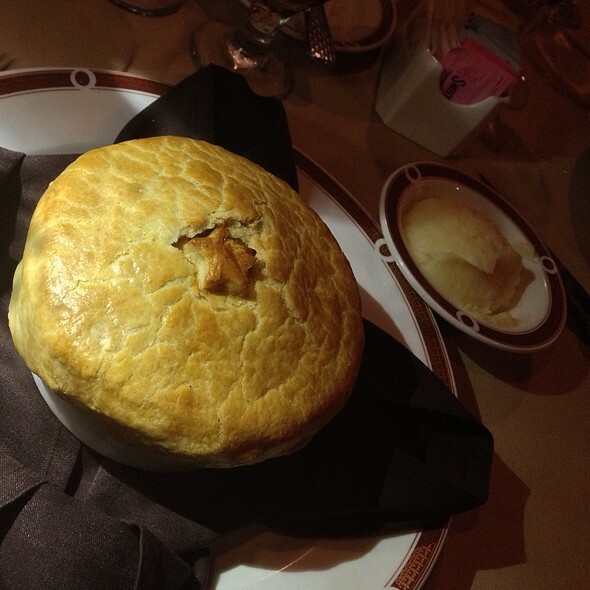 Add it to your Vegas dining bucket list. We love the atmosphere, elite casual, smoke free , the lighting is fine, not to lite nor dark. Our waiter Benjamin took our picture and we didn’t look too different than my wife’s last B/Day. Which they remembered to serve us a free birthday dessert. Pricing is outstanding, true elegant value!!! Everything wa excellent food and service. Would come back again. Prime Rib was excellent. Our guest was pleased that he could get an end cut. 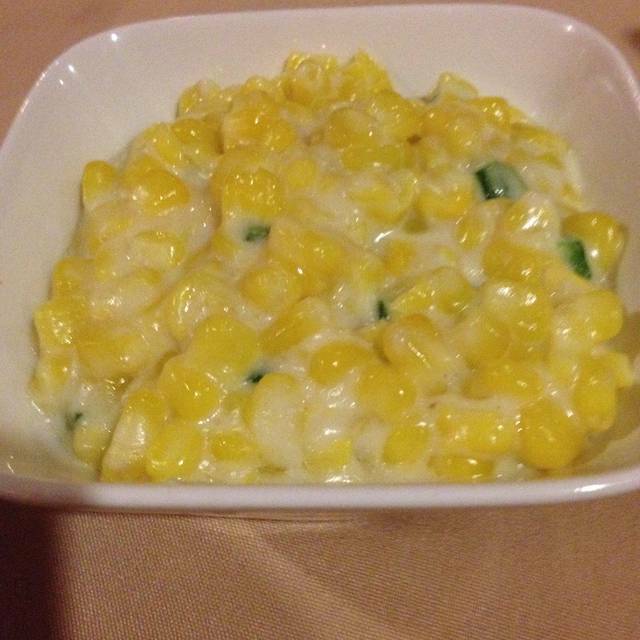 The meal includes delicious sides. The serving staff was prompt, friendly and helpful. We will return. Our nephew was in town from Denver and we took him to Primarily Prime restaurant. We all ordered the Prime Rib and really enjoyed it. It was a great value to get a salad, very nice piece of meat, and a potato for under $20.00. Nice atmosphere and we could visit over dinner easily. We will definitely go back. Dined with four friends visiting from the east coast. 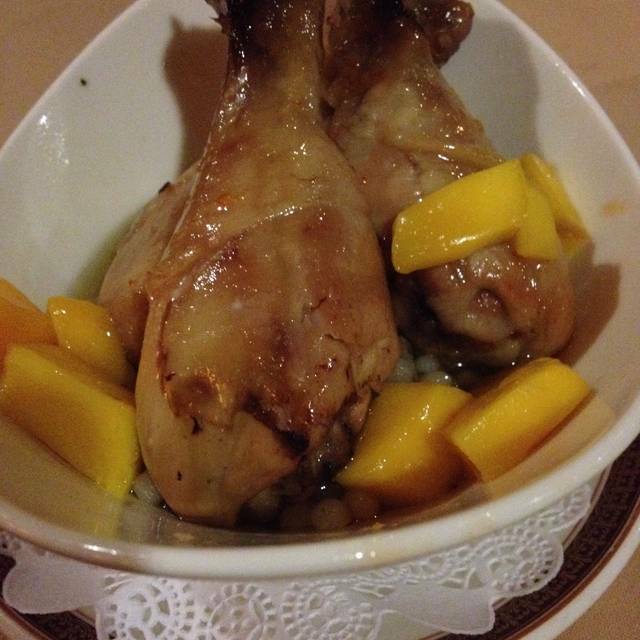 Service was outstanding and atmosphere was a perfect balance between elegant and pretentious. Treated royally without being smothered. One of our party needed a special diet and was accommodated gracefully. Food was outstanding but the best part was conversation was easy. We were at a table for 6 and could easily hear everyone talking. We had a party of 6 and everyone except myself, had the prime rib and were happy. I do not eat prime rib, but was happy with my salmon. The spinach salad with pear and cherries was very nice, but over dressed. Our waiter was training someone, so I think he was distracted but overall our dinner was very nice. Have eaten here several times and the food was always excellent as well as the service. Plan to be back soon. Excellent service by everyone involved in serving us. Great food and delivery to each customer. Very good quality and pricing. Would highly recommend. Great value for the price. Prime rib is excellent, includes salad and sides at a reasonable price. I go there often and enjoy it always. It's my favorite place for prime rib. Service was excellent from appetizers to desserts. Upon mixing the salad the server asked everyone for their preferences. We were not rushed and all courses were delivered in a timely manner. 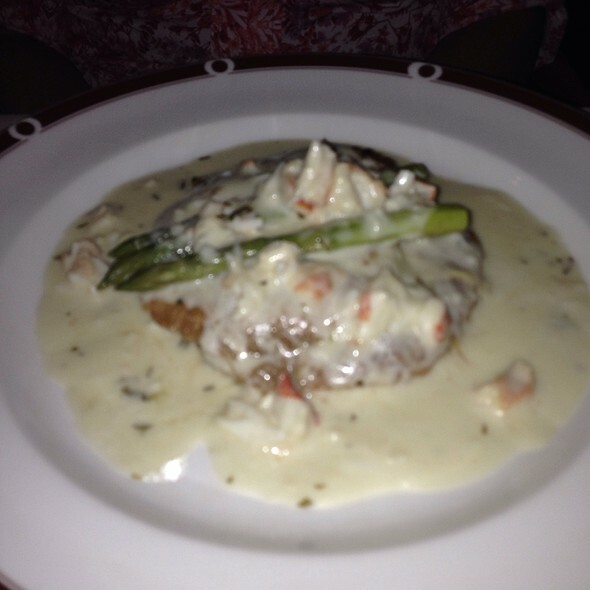 This was our second visit to this restaurant and would not hesitate to recommend it to anyone. Table waiting for us! Food and service excellent! Always a stop when in Vegas! Nice place, great food, great service all at a reasonable price! Our server-Ben, was friendly, courteous and professional! Alan the host was very accomodating and efficient. Supervisor Bill checked our table to make sure everything was good. Our server was Tan and he was exceptional. This was our first time dining at Primarily Prime Rib and it was great. We were celebrating our anniversary and they sat us at the perfect table and even brought out two glasses of champagne! Vacation time with my wife. Prime Salad was wonderful 10 oz prime rib cooked just how I like it was delicious. Our waiter Robert was very attentive. Love this place and returning soon! 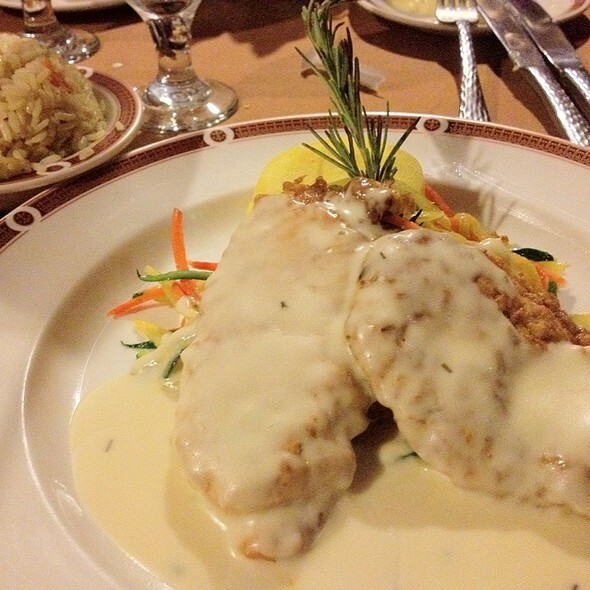 Always our go-to choice. Consistently good and reasonable. Couldn't have been any better. Service,food,atmosphere. 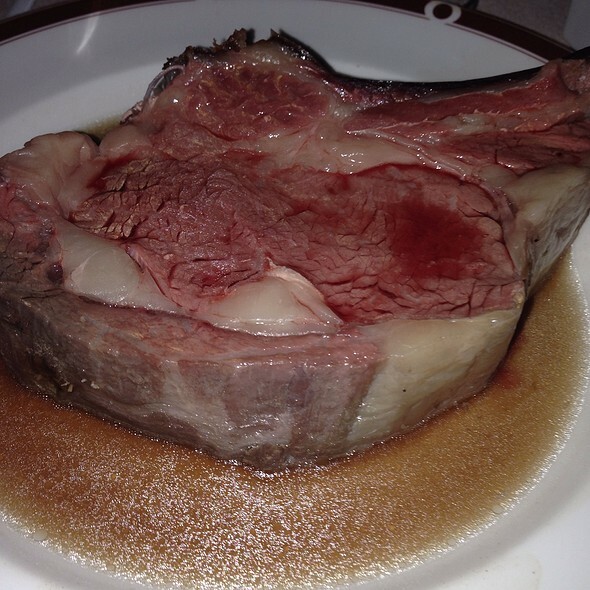 I have been eating at primearily prime rib for 11 years.I have anjoyed the meal and the facility every time.I will continue to dine at primearily prime rib .The prime rib are always very good and tender and big. Our waiter was exceptional and the food was A plus. Excellent Prime Rib with a great spinach salad. Better than what I thought the dinner would be. Prime rib cuts were great and bigger than expected. Made a reservation so we wouldn't have a long wait. We were taken back quickly, but after about 15 minutes we still hadn't had a server come to greet us and get our drinks. That gave us time with the menu. There really wasn't a lot of choices. There wasn't anything that I wanted. It's a good place for a person if they really ONLY wanted steak, but everyone else better want steak too. Definitely NOT kid friendly. There was nothing on that menu that would appeal to a normal kid. We finished looking at the menu and the server still never came to the table. We just left. We sat waiting on someone to come to our table for 15 mins. We should have been greeted within 3 minutes. For the ridiculous prices, I am glad we left. I would have felt obligated to leave a large tip....for someone who didn't deserve it. I usually give 20%, but with those prices I would have to leave a $20-$30 tip. Not worth it for someone who greeted us after 20 minutes (that's assuming they would've come to the table right after we left). Bottom line.....post menu with prices online so we don't waste our time.....AND retrain your servers. We have recommended to many friends and associates . It never disappoints! A nice quiet Sunday family dinner! We love this place, the quality of food and care is always on point and consistent! The vibe is old type Vegas in a good way not over the top - it’s just comfortable. 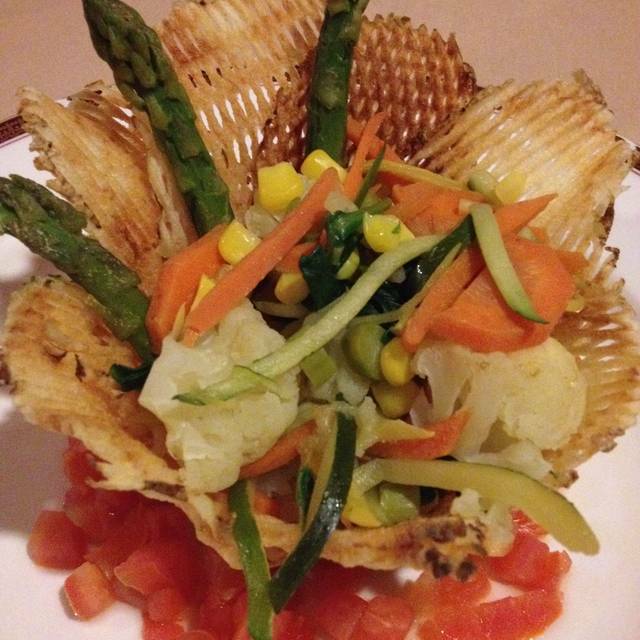 We appreciate salads being made table-side and the baked potatoes are the best ever! The food and service were great. The salad is made and tossed at your table, couldn't be more fresh. Nice meal at reasonable prices. Didn't feel like we were being taken advantage of. It's an older place so the decor is dated but not hateful. Reservations do not seem to matter. I made a reservation, and checked in prior to my reservation time. When the doors opened, it seemed to be a free for all. I had to get back into a line and we were seated after all the walk ups with no reservations were seated first. People holding reservations should have been called to be seated first, then open up seating to walk ups. Needs work!